Panu Poutvaara is professor of economics at the University of Munich and head of department at the Ifo Institute. He received his doctorate in 2002 from the University of Helsinki. Professor Poutvaara's main research interests are international migration, public economics and political economics. His work has been published in the Journal of Public Economics, Journal of Health Economics, Journal of Experimental Social Psychology, and Scandinavian Journal of Economics, among other journals. He heads the Ifo Center of Excellence for Migration and Integration Research (CEMIR), and participates in NORFACE-financed TEMPO project. 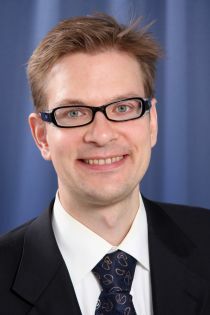 He is managing editor of the CESifo Economic Studies, associate editor of the Finnish Economic Papers, CESifo Research Fellow and IZA Research Fellow. His current main research questions include selection of emigrants from a rich welfare state in terms of observable and unobservable characteristics, attitudes towards the welfare state among emigrants who have left it, and family migration. Panu Poutvaara joined CReAM as an external fellow in June 2013.